As the afternoon light grew softer on day one of our ride, we looked back from a hill over the Hunter river plane. Brilliant green lucerne fields stood out from the duller brown pastures. A plane was circling, climbing, taking a load of skydivers ever higher. There was a pleasant feeling of lethargy and achievement. The day had started early enough, some coming by car to Wollombi that morning. 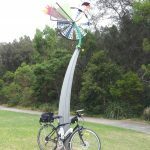 Bruce had camped overnight, having cycled up Bumble Hill from Wyong, then along the Great North Road. Richard met us in Millfield, his partner acting as support backup. The mist had taken till mid-morning to clear, we rode along a pot-holed and increasingly busy road, through Millfield then on to the town of Bellbird. The original plan was to climb out of Millfield along a dirt road to brilliant views of lower Hunter vineyards. The dirt road was deemed muddy, so we took the busier sealed road. Busy roads was the theme of the day. We rode along MacDonalds Rd, which was so busy some of us had to wait several minutes to cross the road. Lunch was at the ‘Small Winemakers” cafe, corner of MacDonalds Road and Campbells Lane. This was a great spot, no hassling about a little bit of self supplied food for some. They still did well with the coffees and lunches. 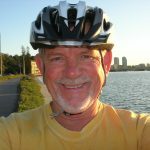 John had found out about the ride from Meetup.com, so this site definitely seems a good way to let prospective new members about rides. John also used mapmyride.com to compare his ride with others. He was very pleased with the fact that the system resets every day, with riders who are closer to the start of the international date line able to hold world wide leads, for a short time. Our other new rider was Richard. He travelled very light, with a carbon fibre bike, He was quite in awe of use carrying our worldly goods in our panniers. The road got even busier, if possible, as we headed to Branxton. At times the verge disappeared. I wonder if it is possible to count an being able to do this ride, the wineries along this route now makes such heavy traffic. As we came into Branxton, we passed over the new freeway bypass. If only a little of that money had gone into some bike facilities! After Branxton the going was smoother, but time marched on. Through Elderslie, we had a choice of going through Glendon or Sedgefield. As it turns out the bridge near Glendon was being rebuilt. In a foolish moment, we became like characters from Enid Blyton’s secret seven and forged ahead. In retrospect, we should have gone through Sedgefield, but on the other hand, because there was so little traffic, perhaps we were safer after all? 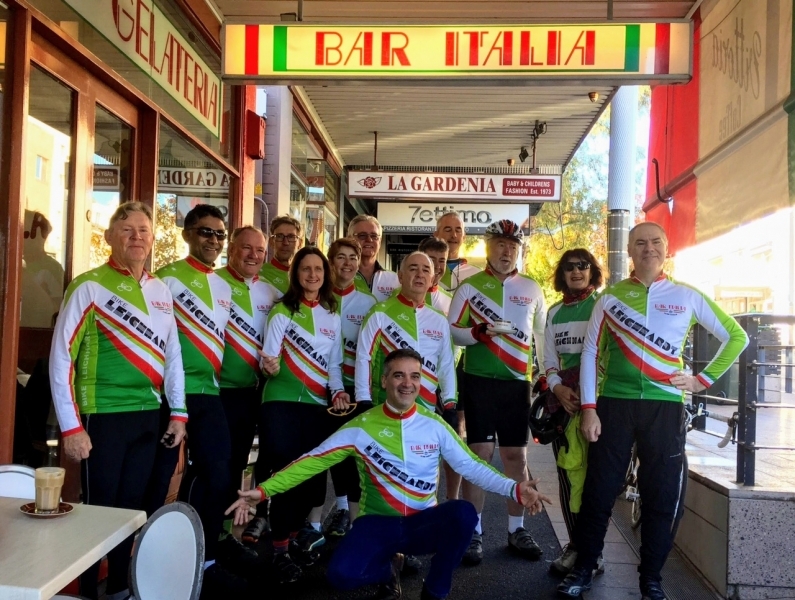 Tired, 88 kilometres of riding, we came into Singleton, found our hotel. A quick drink, cleanup, dinner, walk then bed. The next day the think mist returned. Heading out to Mt Thornley was passed large mines. We elected to go through Bulga, rather than directly to Broke. Bruce found an incredible feature article about a court case the locals are fighting against Rio Tinto. If you have the time it is well worth exploring, though it is flash and make not work on certain Apple devices. Past Bulga, the junction at Milbrodale has a truckies memorial. http://www.puttyroadmemorial.com.au/ . The website has an interesting history of Putty Rd. 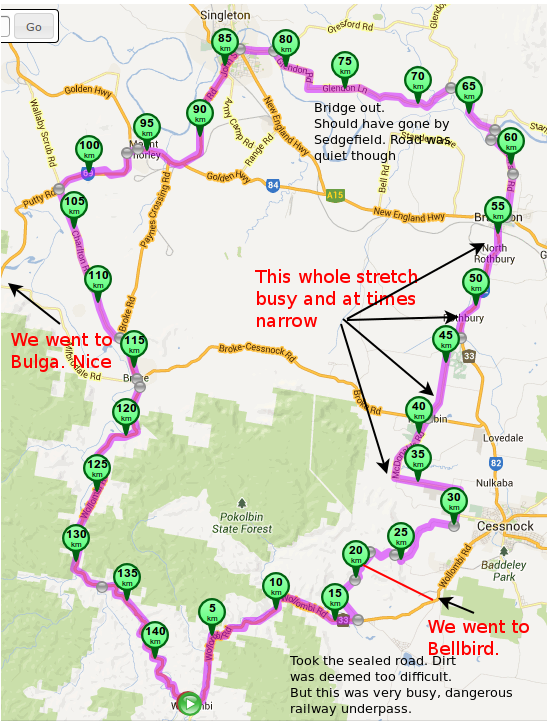 The road from there through to Broke, then down to Wollombi through Payne’s crossing is a real joy to cycle. It winds along the river, crosses little wooden bridges, with little traffic, only the occasional motor cyclist. Al in all great fun, great company. Thanks to Heather for organising the trip, even though she couldn’t make it. 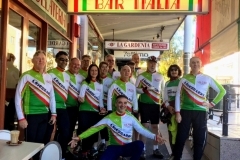 Thanks to Grant for leading the ride, and thanks to my fellow riders. Another successful tour and once again an interesting write by Jamie. Pleasing to see a few new riders come along meetup is working for us. now I know why we go up the dirt past the Krishna farm.I think you all did really well and thanks Grant for being my back up.